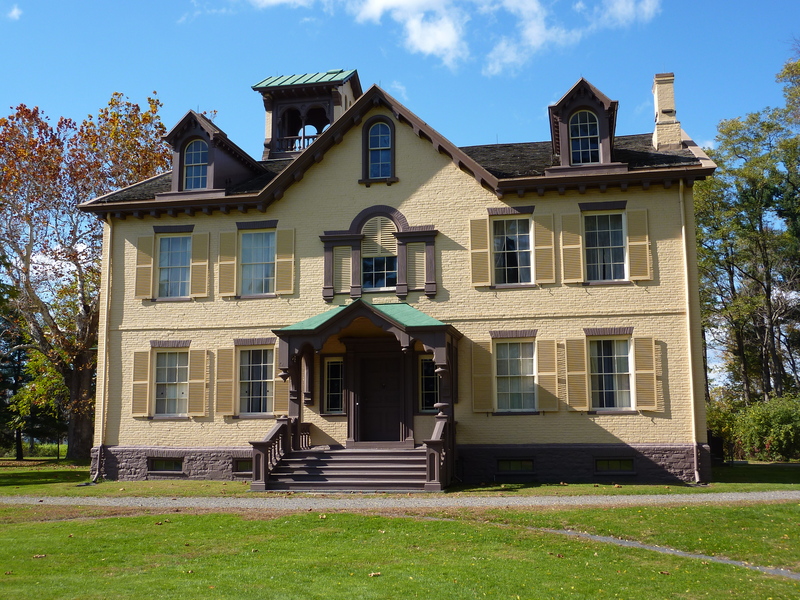 Kinderhook, New York: Lindenwald – It’s More than O.K. Marty and Me. Statue can be found on the main street of Kinderhook, in the village square. I’ve probably mentioned this before, but I love presidential history. It probably has something to do with being given The Buck Stops Here by Alice Provensen as a child, which appealed enormously to my love of memorisation, catchy rhymes, and history (highly recommended if you have kids, by the way, though unless they’ve issued a new edition, it might be a bit out of date. My copy concluded with Bush Sr.). At any rate, I particularly love the obscure presidents, and picking up trivia on them that I can trot out at parties (hmmm, perhaps this is why I never get invited to parties). 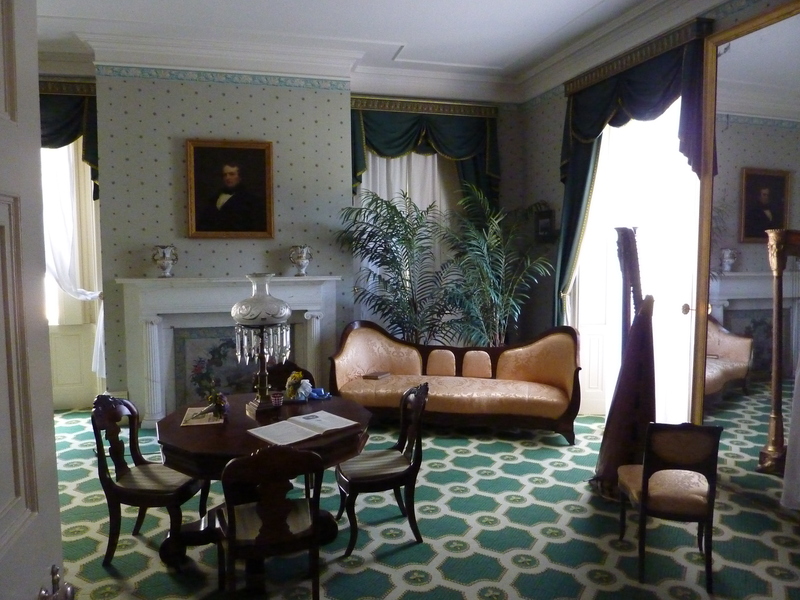 I suppose being in New York, I should have been aiming for Millard Fillmore, but his house was more towards Buffalo, and not at all on our way. 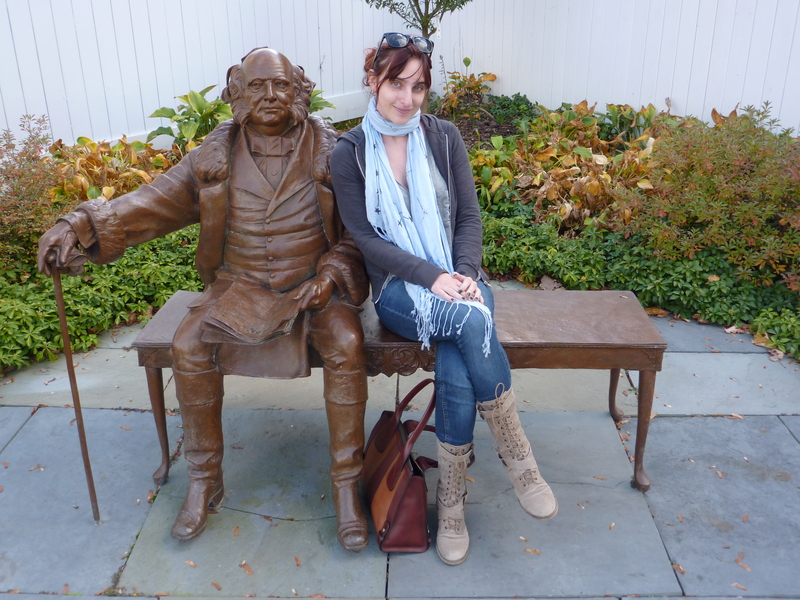 So the Little Magician it was, as we headed for Martin Van Buren‘s lovely home, Lindenwald. 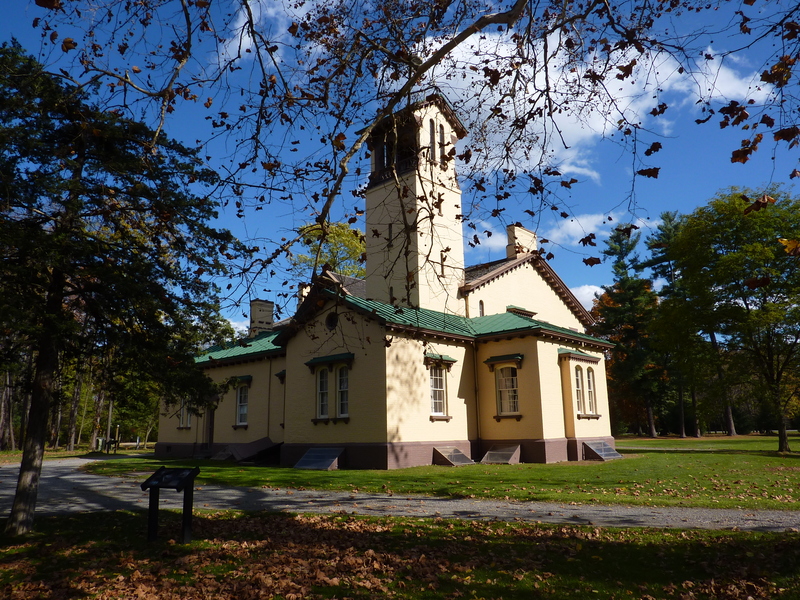 Upstate New York was in the full flush of autumn when we visited, so the “Careful Dutchman’s” estate was ringed with scarlet and copper foliage, setting off the house to full advantage. My boyfriend remarked that it reminded him a bit of Osborne House, and in addition to the colour, it does have Italianate features that were added on around the same time Osborne was built. 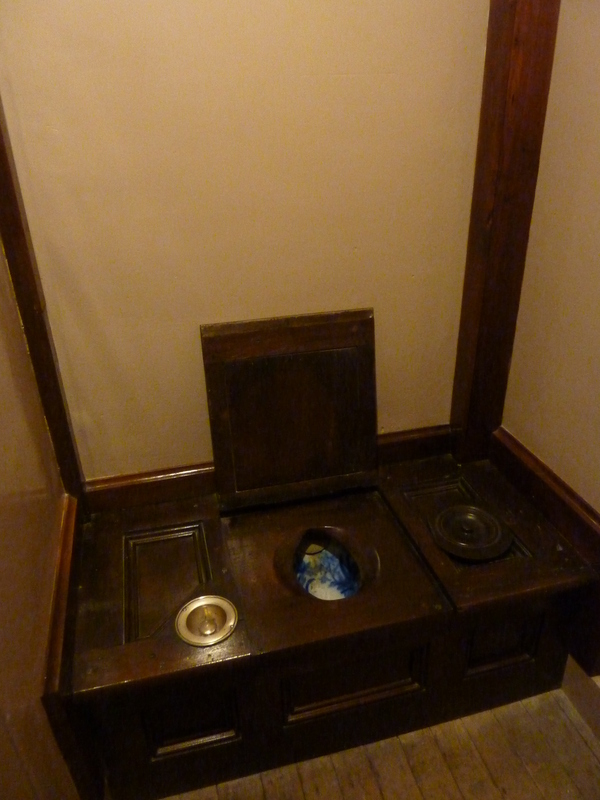 However, this wasn’t the only connection with Queen Victoria, as you shall see later. 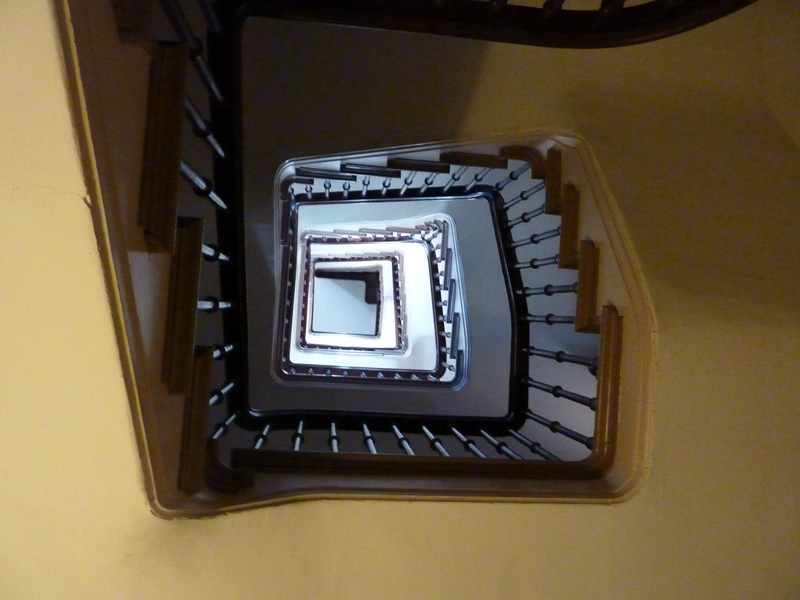 The house is run by the National Park Service, and you can only go inside via guided tour (ugh!) which costs around $5, and is offered every half an hour during the summer season. 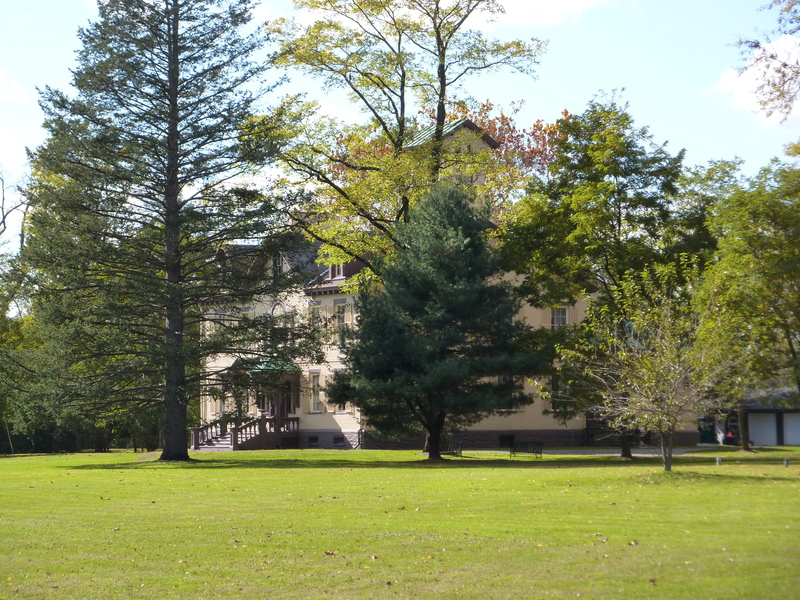 We wandered the grounds a bit whilst we waited for our tour to begin; there is a Martin Van Buren trail around the property which features about ten plaques with details of the Van Burens’ lives, and the operation of their 191 acre farm. 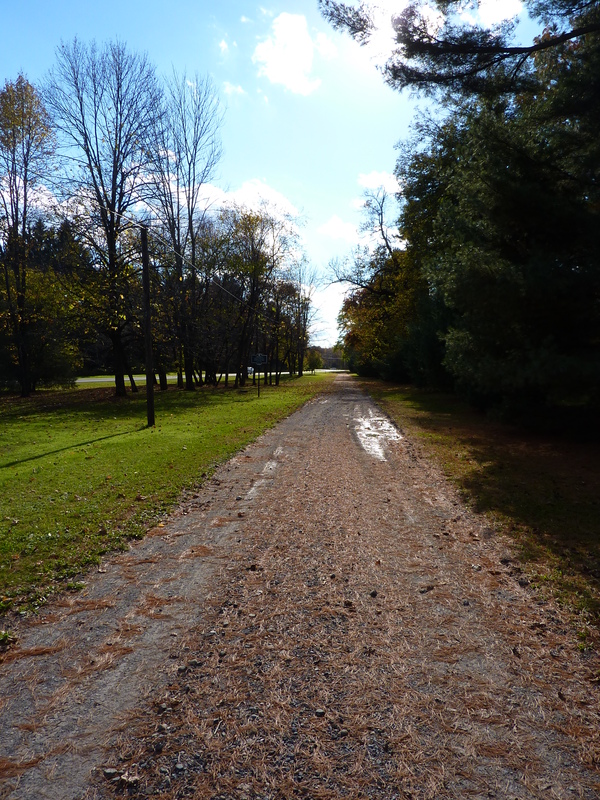 The gravel road that runs next to the modern road at the front of the property is the original Old Albany Post Road, which runs from New York City all the way up to Albany (and we did manage to drive up almost all of it!). 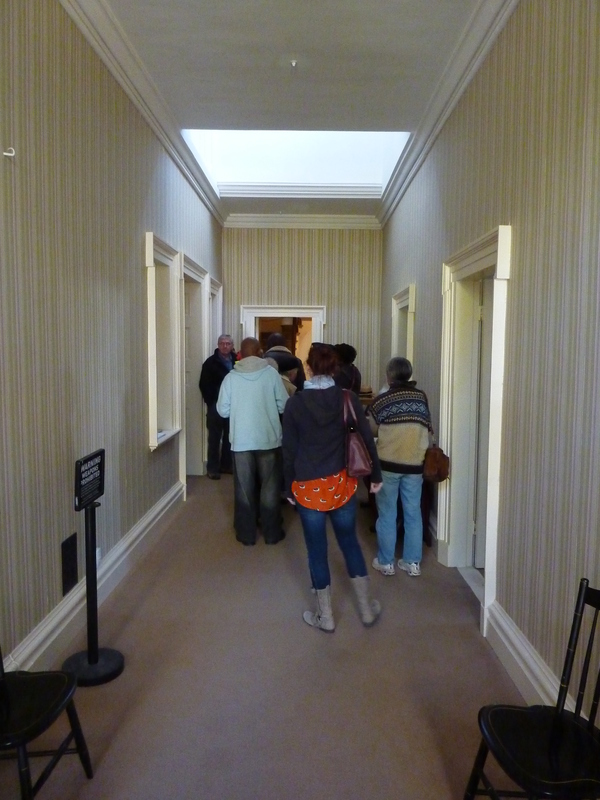 By this point, our tour guide had arrived, along with some other visitors, and the tour commenced. The guide was a ranger, so I’m not sure if he didn’t normally work at the site, or just hadn’t been there very long, because he had a set of index cards to help him, although he did appear to have a good base of knowledge on Martin Van Buren, so maybe he just wasn’t fond of public speaking (I know I’m not). He was very nice though, and made a point to welcome everyone and ask where they were from. 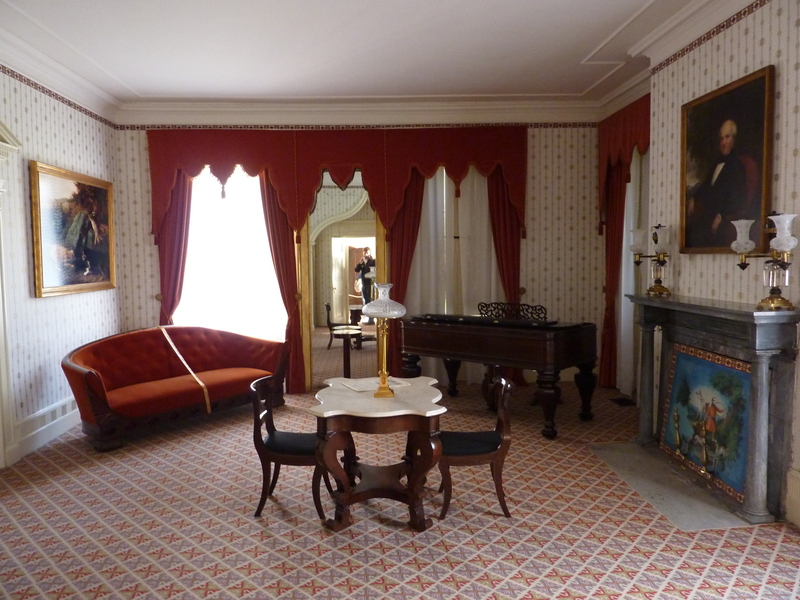 He explained each room as we passed through, but also threw in a few bonus details about the “Red Fox,” which I appreciated, as it helped elevate things above the standard Victorian home tour, and I even learned a few new facts! One of these facts concerned Martin’s son, John, who was given the nickname “Prince John” after attending Victoria’s coronation, and subsequently dancing with her. 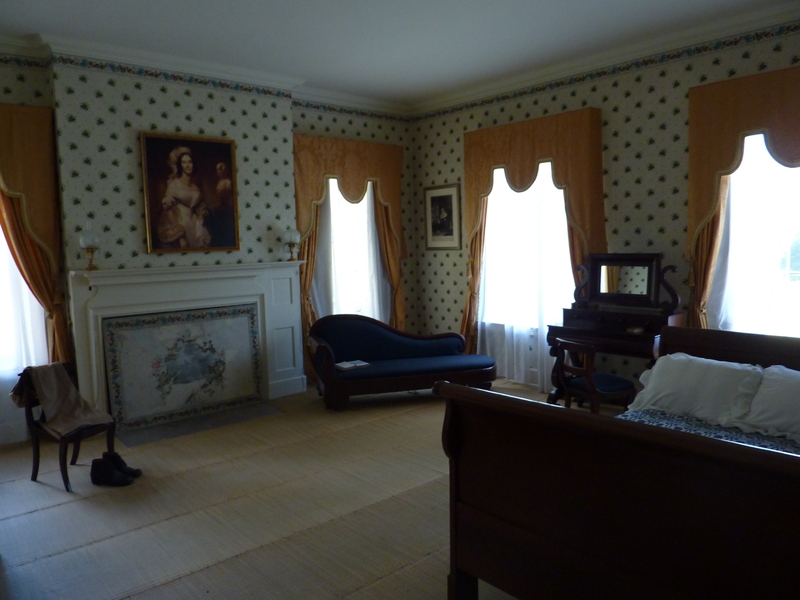 There was a portrait of Victoria hanging on his bedroom wall, but I’m not sure if it was original, or added later. Martin himself met Victoria as well, on a trip to Europe after his presidency. 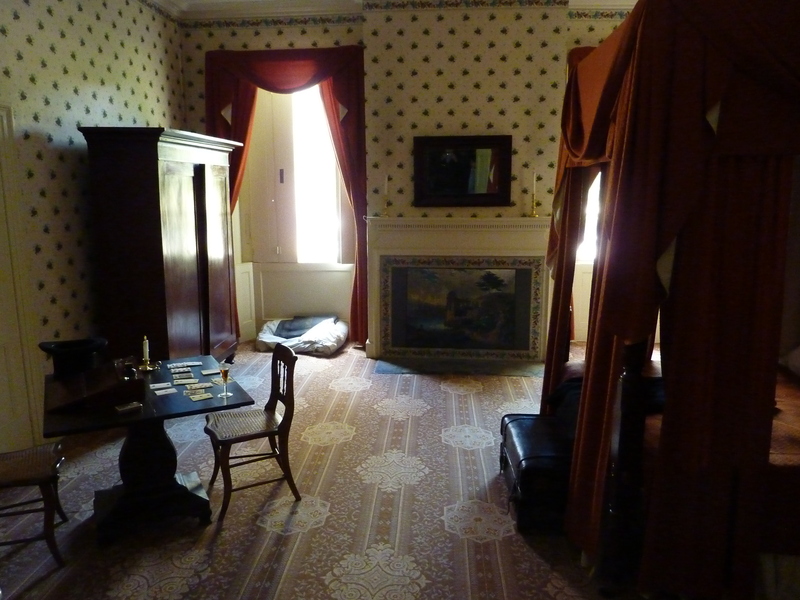 Another connection (well, not really, as it involves only me) between Van Buren and Victoria is that Martin died in the house, like Victoria did in Osborne House, so I have now seen both their deathbeds! Which is quite the accomplishment, as far as I’m concerned. 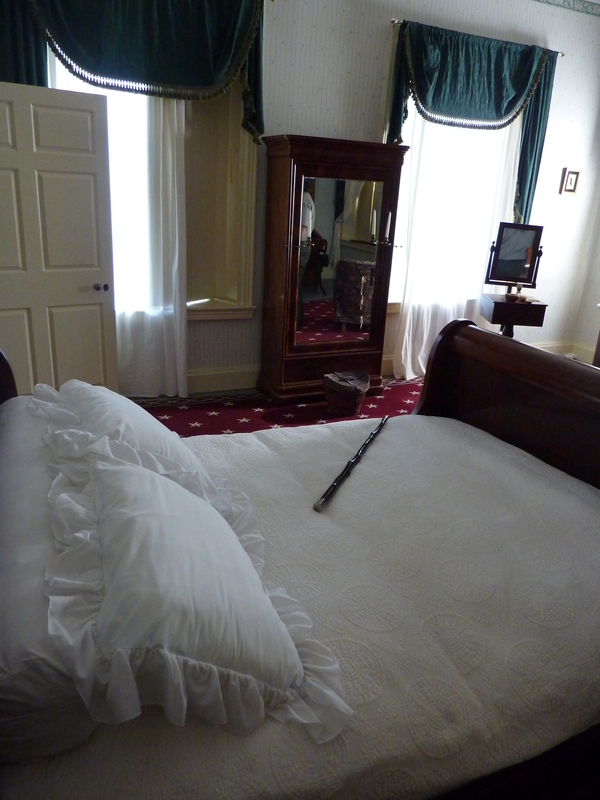 There was a cane lying across the bed, which was given to Martin Van Buren by none other than Old Hickory himself! 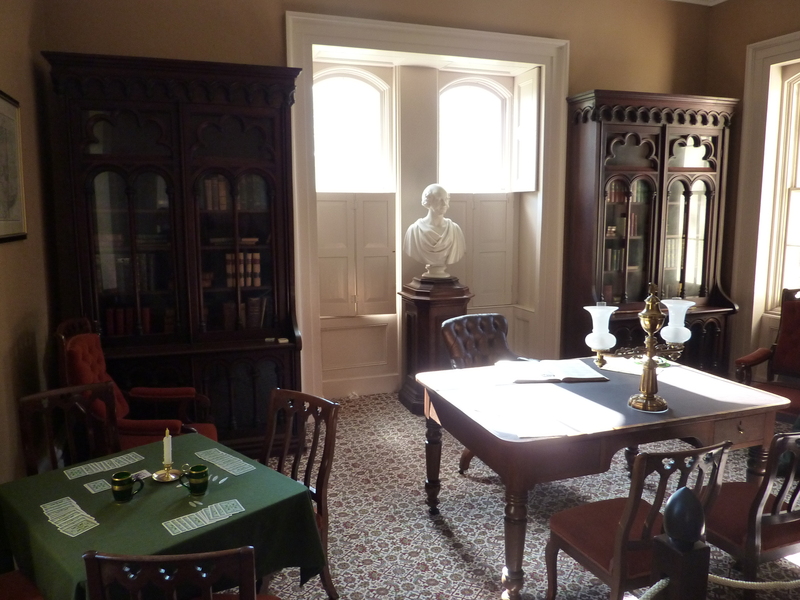 Jackson had even had his name written on the cane, so Martin would remember EXACTLY where it came from (as if one could forget being given a cane by Andrew Jackson)! Aside from the fun facts, the rest of the tour was fairly standard for an historic home (a bit of gossip about the servants, explaining the domestic details of the house, period furnishings, etc), although our guide managed to regale us with a few more stories specific to the Van Burens, including learning about Martin’s tubercular son and wife, and a detailed description of his political campaigns. 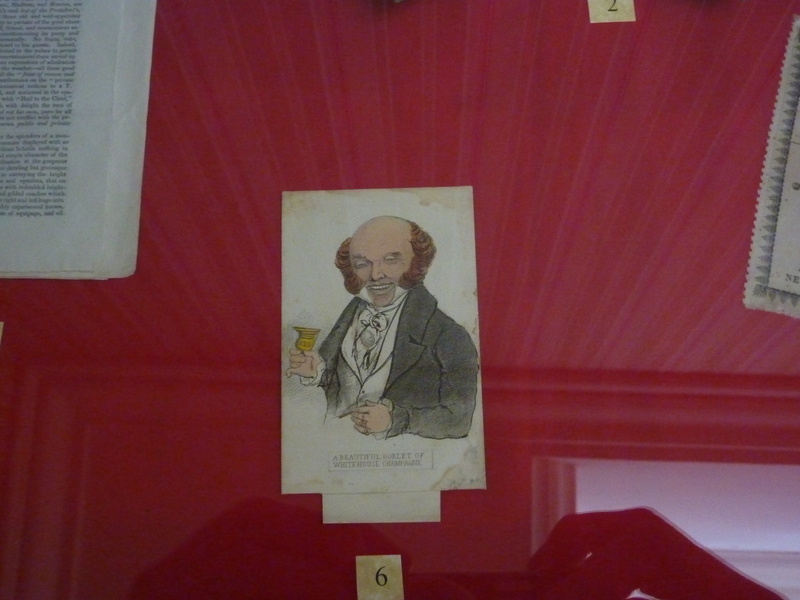 In the entryway of the home, there was a small case containing some artefacts pertaining to Martin Van Ruin, as his opponents called him, in reference to the financial panic that occurred during his presidency, and the subsequent depression (poor Martin), like a delightful card of him drinking from a champagne goblet. His opponents in the election of 1840 branded him as a champagne-swilling aristocrat, whilst portraying William Henry Harrison as a humble farmer, when in fact the opposite was nearer the truth. Harrison got his though; dying a month after taking office from pneumonia brought on by a combination of being long-winded and too stupid to dress appropriately for the weather (I can totally relate). 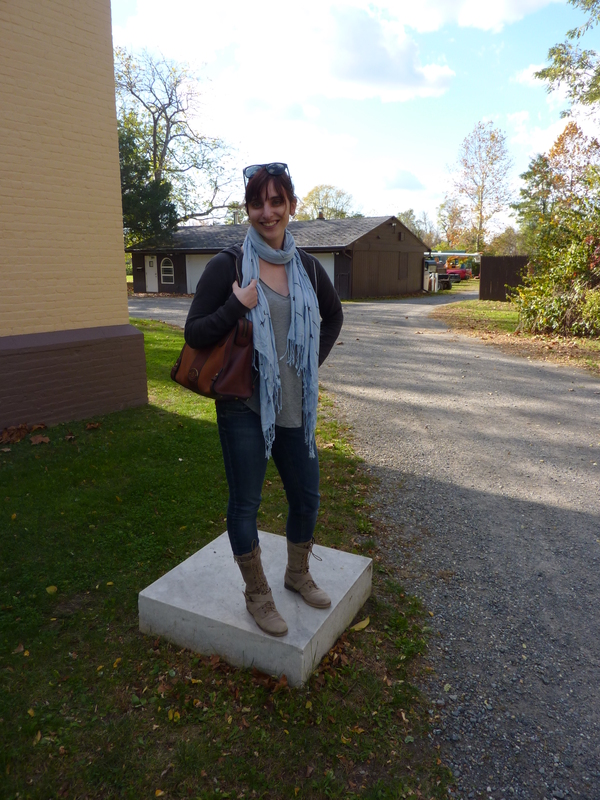 There was more to see in the nearby village of Kinderhook (Lindenwald is actually about two miles south of the village) – the best thing was obviously the statue of Old Kinderhook himself in the village square (see picture at start of post), so don’t miss the photo opp! 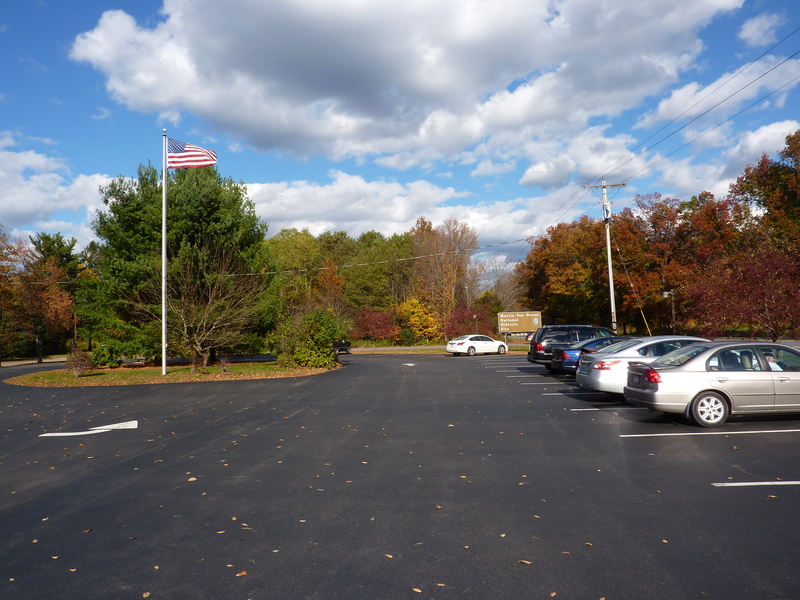 (Side note, “Old Kinderhook” was abbreviated to O.K. on campaign materials, which is one possible explanation for the word, although even at the time, O.K. was also a “folksy” misspelled abbreviation of” all correct.” The Whigs claimed that “oll korrect” was probably how Jackson would spell it, thus mocking his “down-home” Southern roots. All of this is a roundabout way of saying that the post title is totally a pun!) I have to say, the entire village was adorable; I’m adding it to my list of places I wouldn’t mind living. 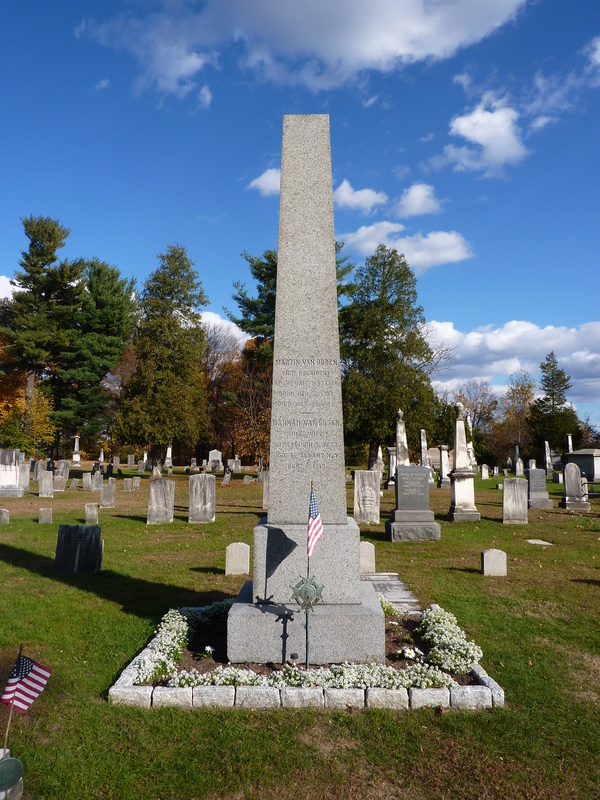 Just down the road from the village is the cemetery that is Martin Van Buren’s final resting place; he didn’t go for an elaborate statue of himself there (as I probably would have), but a simple obelisk marking his and Hannah’s graves.